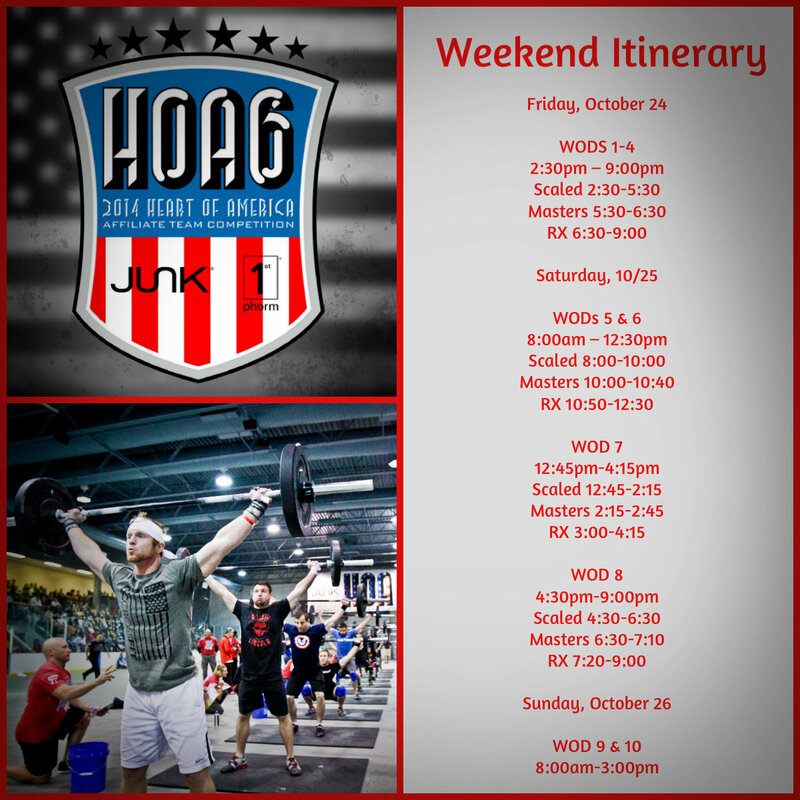 Daily WOD Schedule – broken down by Divisions – for The 2014 Heart of America Affiliate Team Competition presented by JUNK Brands | 1st Phorm. Opening night heat assignments and heat times will be posted this Friday, October 10th. Heats will be re-assigned throughout the weekend of HOA based on your team’s ranking. 4pm-9pm: Early Athlete Check-In at Springfield EXPO Center. Only one team member needs to report, however ALL 6 ATHLETE WAIVERS must be submitted at this time. HOA Athlete Participation Waivers will be emailed to team captains on Wednesday, October 8th. 9am-12:30pm: Athlete Check-In at Springfield EXPO Center. Only one team member needs to report, however ALL 6 ATHLETE WAIVERS must be submitted at this time.